The Cook Memorial Library Genealogy Networking group met for their monthly meeting on Thursday, August 6 in the library’s meeting room. Although the meeting’s topic was Bring in Your Brickwalls, our discussion ranged broadly and several members had great stories to share. Last March, Karen participated in a six-day Road Scholar program at the Family History Library in Salt Lake City and she kindly brought handouts and stories of her experience to share with all of us. Her program started on a Sunday evening in March with a get-acquainted meeting and then the ‘real’ program began the next Monday morning. As part of her Intermediate level program, Karen could attend over ten classes taught by professional genealogists and had plenty of time for her own individual research. The best find of the week was a book written about the now-extinct town of her great grandparents which included a lot about her family. When she returned home to find that the book was not only out-of-print, but any used copies would cost her about $90, Karen called the author who sent her a copy of his book—-for free. Bobby, a member of the Lake County Genealogical Society, told us about the trip that about ten members of her organization are about to take to Salt Lake City this month. She recommended the Carlton Hotel, located about 3 blocks from the Family History Library, as a less-costly alternative to the pricier hotels right next door to the library. She told us that the Carlton Hotel provides free shuttle service to and from the Family History Library. After hearing from Karen and Bobby, we were all ready to head out to Salt Lake City. Immediately! Arlene told us about a recent discovery she made during a trip to Detroit. Because of Detroit’s financial hard-times, she wasn’t able to visit any of the churches that held her family’s records, but she did find them on microfilm in a library. She had been looking for her father’s sister, Stella, who he’d always told her had died as a toddler. Knowing Stella’s date of birth and parents allowed Arlene to scroll through to find her baptism record and there she made a great discovery: The toddler her dad remembered as Stella, Arlene discovered, was actually named Stephanie! Now Arlene will be able retrace her search for information about her dad’s sister—Stephanie. In the same reel of microfilm, Arlene also looked for her father. She knew the date of his birth and the date should have been in the film, however, she was initially perplexed because she couldn’t find his name in the index. She scrolled through the film to the correct date and found her father and realized why he wasn’t in the index. The first letter of her father’s last name was impossible to read, so the film’s indexer just didn’t include his name at all. Moral of the story: Don’t assume that an index is 100% correct. Search the originals anyway. Other topics discussed in our meeting included DNA, Irish resources and upcoming genealogy programs at the library. Join us next month on September 3 for another fun-filled evening of genealogy adventures. NOTE! I just noticed that the Ancestry DNA test is currently on sale until August 17, 2015 for $79. 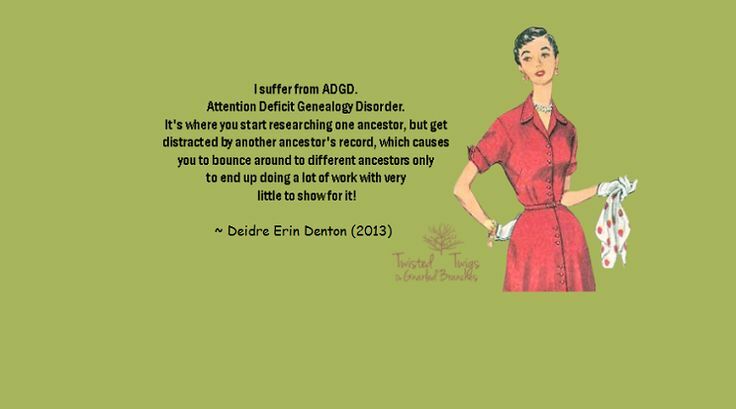 August 13, 2015 in Genealogy.